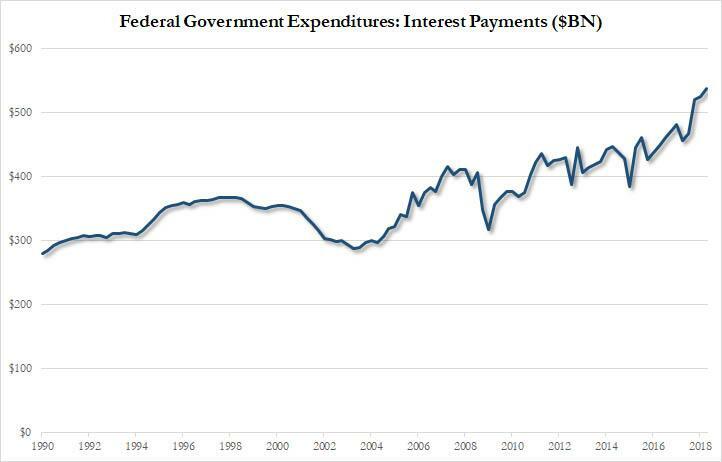 The US' spending problem is starting to become a major issue. 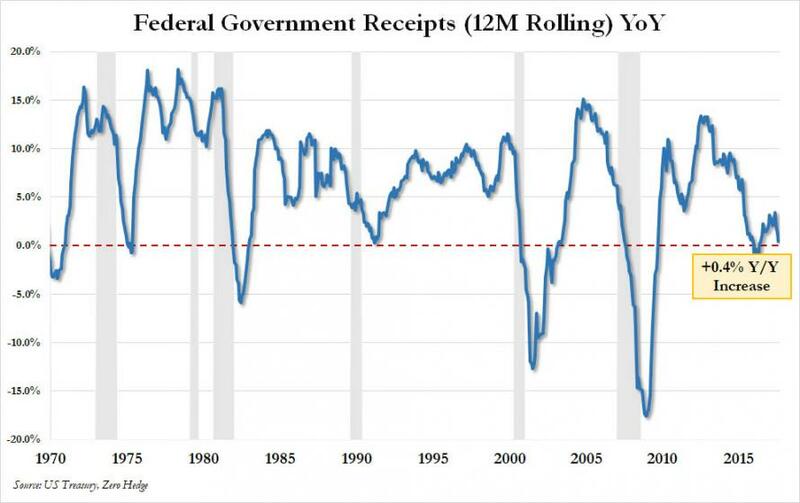 ... and in July, the 12 month trailing receipt total was barely higher compared to a year ago, up just 0.4% Y/Y after rising as much as 3.1% at the end of 2017. 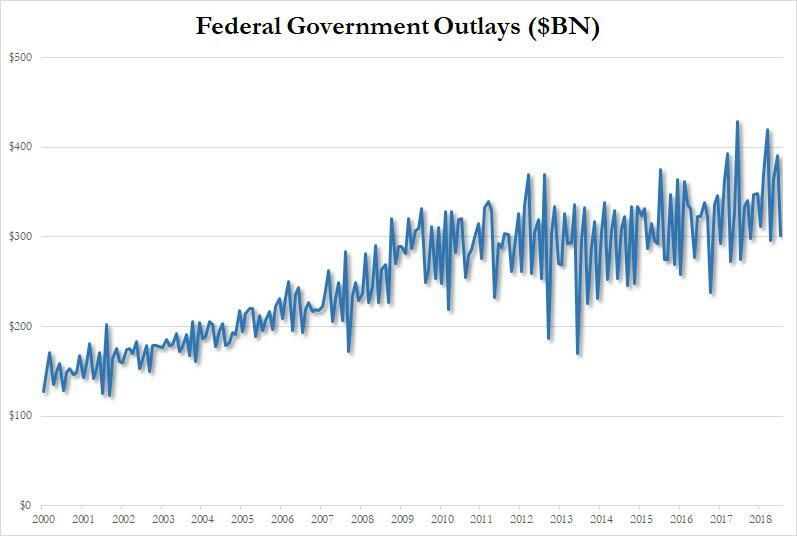 ... where the money was spent on social security ($83BN), defense ($49BN), Medicare ($24BN), Interest on Debt ($35BN), and Other ($111BN). 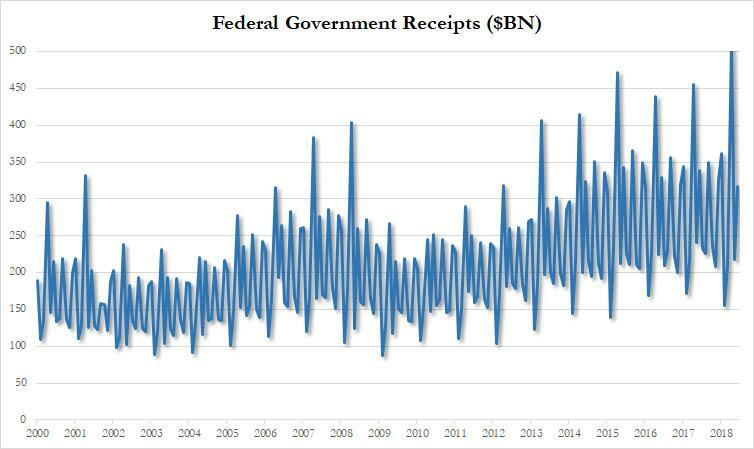 This resulted in a July budget deficit of $77 billion, in line with expectations, and a signification deterioration from the $43 billion recorded in July of 2017. 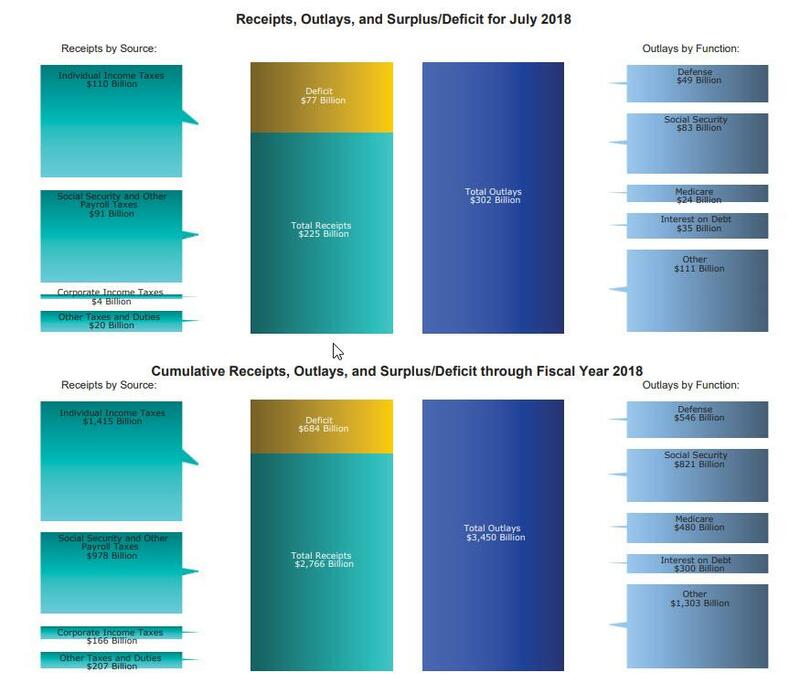 The July deficit brought the cumulative 2018F budget deficit to over $684BN during the first 10 month of the fiscal year, up 28% over the past year. 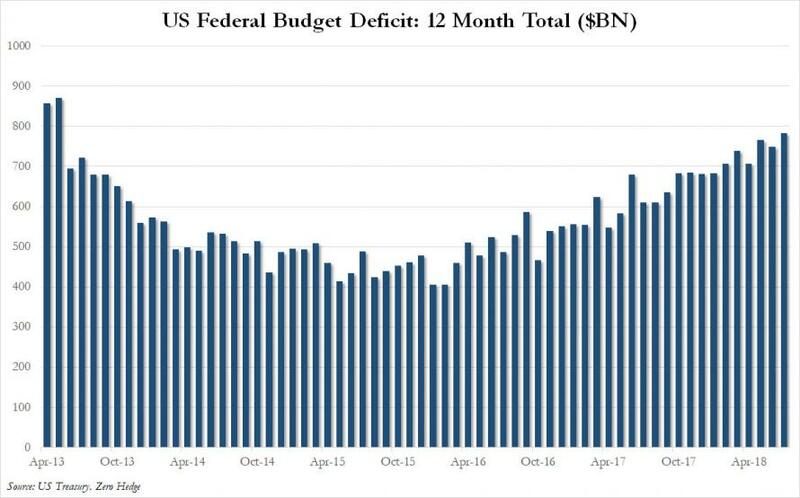 This is the highest 12 month cumulative deficit since May 2013; as a reminder the deficit is expect to increase further amid the tax and spending measures, and rise above $1 trillion as soon as next year. Most Wall Street firms forecast a deficit for fiscal 2018 of about $850 billion, at which point things get... much worse. 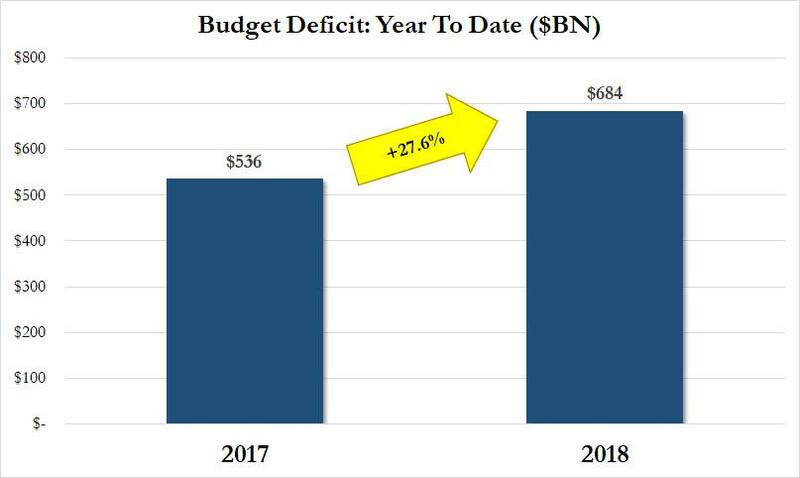 As we showed In a recent report, CBO has also significantly raised its deficit projection over the 2018-2028 period.